Though her family and the police see a grieving sister in denial, unwilling to accept the facts, Bee uncovers the affair Tess was having with a married man and the pregnancy that resulted, and her difficultly with a stalker who may have crossed the line when Tess refused his advances. Tess was also participating in an experimental medical trial that might have gone very wrong. As a determined Bee gives her statement to the lead investigator, her story reveals a predator who got away with murder--and an obsession that may cost Bee her own life. 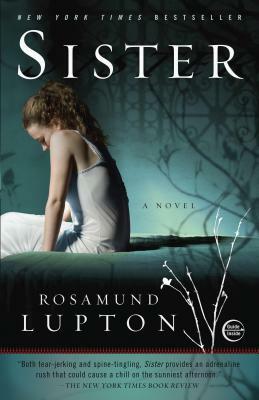 Rosamund Lupton is the internationally bestselling and critically acclaimed author of the novels Sister and Afterwards. Her New York Times bestselling debut, Sister, was a New York Times Editor’s Choice and Target Book Club pick, and has been translated into over thirty languages with international sales of over 1.5 million copies. Lupton lives in London with her husband and two sons. How would you compare Beatrice and Tess? Do you think that Beatrice changes throughout the course of the story and, if so, how? What are your thoughts on the structure of Sister and how do you think the different tenses and narrative techniques add to the overall effect of the story? In what ways does Sister explore fundamental human relationships? For example: the relationship between two sisters, a mother and a daughter, two lovers, doctor and patient etc. Who is your favorite/least favorite character and how true did each of them feel? Did you agree with Beatrice in her determination to discover the truth, despite it driving those she loved away from her? There is much imagery in this story, such as the colour yellow, the sea etc. Can you explain why imagery is so important in the story and how effective it is? There are a number of significant male characters in this story. In what ways did each of them aid or abet Beatrice and how suspicious of each of them were you? The ending of the story throws up a shocking twist. Did the ending work for you? How else do you feel the story could have ended?